With its famously sunny climate and laid back culture, is it any wonder that moving to Australia is a popular choice among expats? The expat population Down Under is growing across all states and age groups, from young globetrotters to mature retirees. Air fares are getting cheaper and the growth in communication technologies, such as Skype, mean moving across the world to Australia is no longer such a daunting prospect. It’s now possible to have that new life in the sun and stay in close contact with family back home. Love the idea of living the Aussie dream but no idea where to live in Australia? No worries. We’ve put together a list of seven great destinations for expats, based on factors such as the cost of living, the availability of schools and universities, employment opportunities and things to do. Check out which places made our list below! The seven best places to live in Australia are: Adelaide, Brisbane, Canberra, Hobart, Melbourne, Perth and Sydney. We’ve worked out which place is best depending on what you care about most, from culture and climate to job opportunities. Check out the table below for our full rundown. The capital of South Australia, Adelaide, is growing in popularity thanks to its friendly country feel, pleasant climate (summers don’t reach the same scorching temperatures as other parts of Australia here) and affordable real estate. Job opportunities are good, with Adelaide recruiting a minimum of 5,000 skilled migrants a year, especially in the fields of healthcare, education and manufacturing. 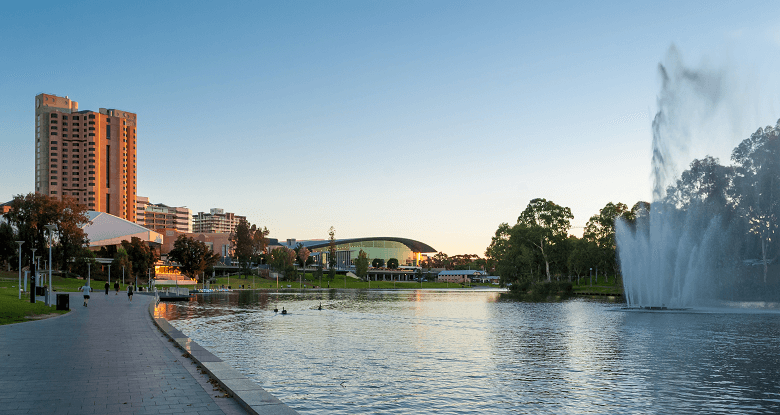 Adelaide is popular with expat families, many of whom choose to live in the leafy suburbs of Belair and Banksia Park. You’ll find a varied cultural scene to enjoy, with arts festivals, live music and great restaurants. Chill out at the beautiful Adelaide beaches or travel out to the nearby Barossa Valley vineyards to sample the delicious regional food and wines. 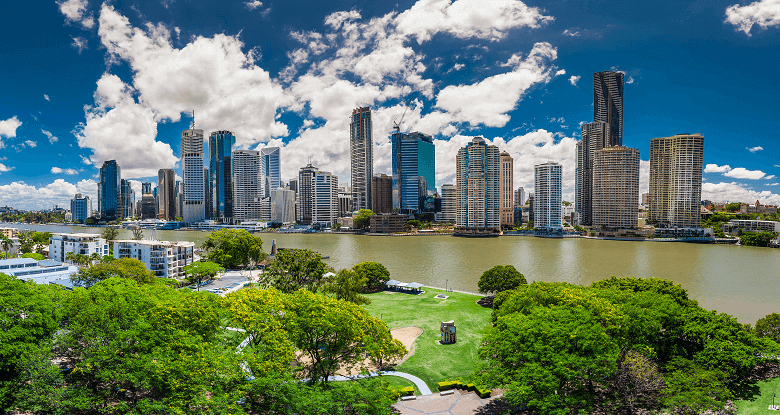 As Australia’s third largest city, Brisbane offers all the excitement of living in a thriving city – but is way more affordable than Sydney and Melbourne. While the urban center of Brisbane is all shiny skyscrapers, the city is also ideally placed for getting into nature. Brisbane residents are an active bunch and love to enjoy their beautiful river, whether they’re jogging alongside it or sailing on it. The rest of the ‘Sunshine State’s delights are within easy reach, with the Gold Coast and the Great Barrier Reef among the highlights. Brisbane’s economy is booming, with workers in hospitality, health, manufacturing and tourism the most in demand. Away from the thriving urban heart of Brisbane, you’ll find relaxed suburbs and beautiful landscapes. If you want to be close to the action, suburbs like Paddington are popular with expats, while families might prefer quieter areas, such as Morayfield. Australia’s inland capital, Canberra, has a sophisticated atmosphere that really comes alive when the country’s Parliament assembles. Although it is the nation’s capital, Canberra has fewer than 400,000 residents, giving it an almost small-town charm with its pretty tree-lined streets. Real estate is, perhaps surprisingly, some of the most affordable in the country with average house prices almost $100,000 AUD ($70,500 USD) below the national average at around $480,000 AUD ($340,000 USD). 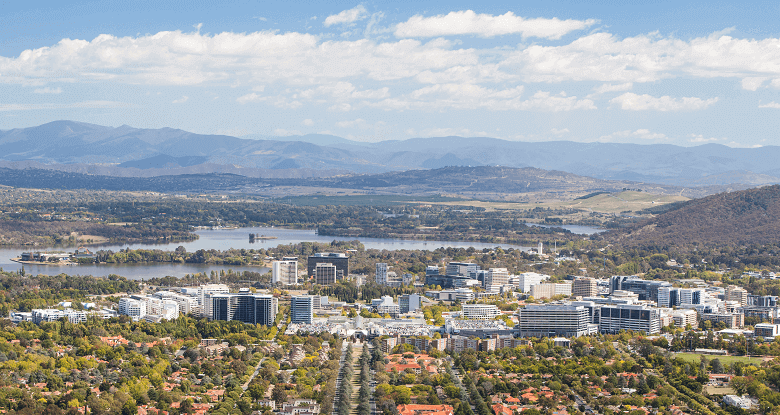 In summer, Canberra’s residents take to the shores of Lake Burley Griffin to enjoy picnics, bike rides, fishing and sailing. The city has a great restaurant and bar scene, some interesting cultural attractions, such as the National Gallery of Australia, and no end of adventure activities in the hills and bushland that surround the city. Historic Hobart is the second oldest city in Australia, situated in the south of the country on the banks of the Derwent River. The city is popular with those who prefer cooler temperatures, with summer temperatures a manageable 68°F, and has a lovely relaxed pace of life. 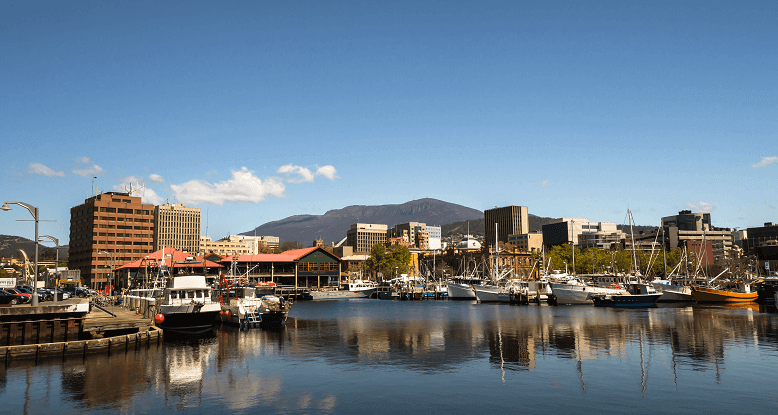 Hobart has a great range of real estate, from the luxurious to the affordable, and its desirable riverside suburbs are popular with families and retirees alike. The suburb of Kingston was recently named the most family-friendly place to live in Australia. Hobart may not have a rapidly growing employment market, but it does offer stable and steady job prospects especially for skilled expats in the industries of construction, viticulture and engineering. On the weekends, choose between the lively arts scene in town, scaling the heights of the spectacular Mt Wellington, or heading down to Sandy Bay to relax on the beach. 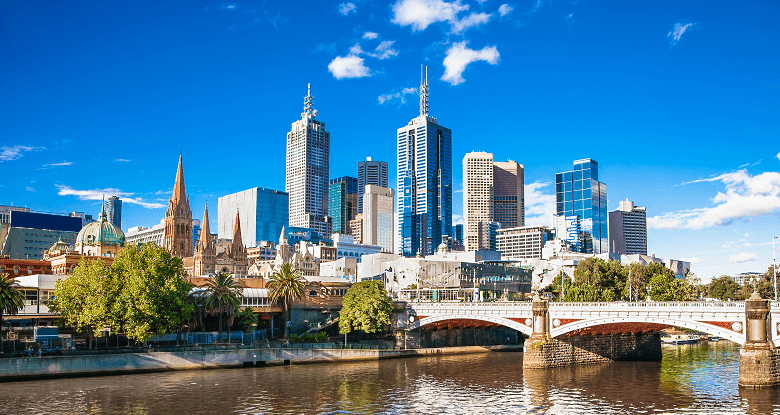 The multicultural city of Melbourne is widely considered to be Australia’s cultural capital with a strong arty vibe, amazing museums and an endless selection of cool bars, eateries and festivals. It’s also city of sporting fans. The residents of Melbourne come from all over the world, creating many different neighborhoods from the glitzy to the family- oriented. Surrey Hills and Camberwell are popular with expats who have children, while the hipster beachfront suburb of St. Kilda attracts a younger crowd. On the downside, Melbourne is famous for its changeable weather – you’ll often experience “four seasons in one day”. Cost of living is relatively high, although slightly cheaper than Sydney, and the employment market is buoyant, especially for expats who specialize in aviation, construction, automotive engineering, financial services and technology. 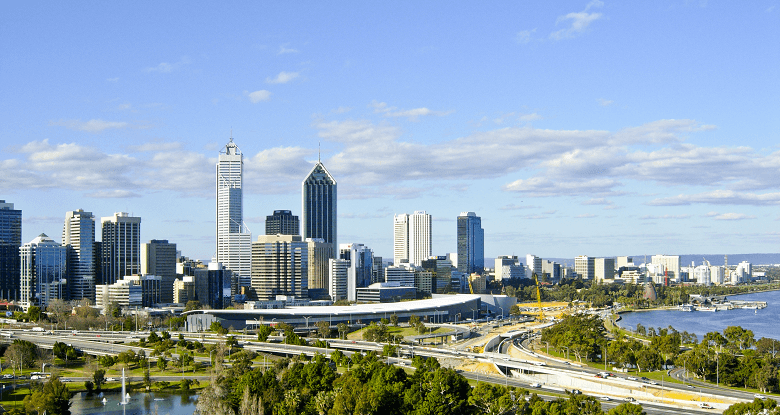 Perth is an easy-going but cosmopolitan city on Australia’s west coast. With gorgeous city parks, a booming economy and warm weather all year round, life in Perth is sweet. The job outlook is particularly good in the mining industries, tourism, healthcare and technology. Families are drawn to the good schools in neighborhoods like Victoria Park and Applecross, while others may prefer the cultural attractions and restaurants of bohemian Fremantle along Perth’s south coast. Making time to play is paramount in Perth. Whether you head down to the golden sands of the city’s pristine beaches, take to the waters of the glassy Swan River, or enjoy a night of opera at the Perth Cultural Centre, you’ll always find Perth’s laid-back residents are out and about enjoying Aussie life. With almost 5 million residents, Sydney is by far Australia’s biggest city – and home to some of its most iconic sights. Cruise through the harbor to see the famous opera house or join the surfer dudes down at the beautiful Bondi Beach. While the bright lights of Sydney’s central district, with its eclectic bars, restaurants and clubs, appeal to younger expats, many families choose to live in the suburbs. Western Sydney is particularly popular with American expats, while the Northern Beaches Area is great for families. Sydney is a major player on the world stage, which has an undeniable effect on the cost of living here. Real estate prices are on a par with New York, putting it up there with the most expensive cities in the world. Sydney’s successful economy does mean that employment prospects are good, with the financial services, communications technology and creative industries all thriving. If you’re looking to move to Australia, then you’re spoilt for choice when it comes to deciding where to live. Whether you’re starting a family, kick-starting a new career or just want to immerse yourself in a new culture, then there’s a perfect city for you Down Under. Moving to the other side of the world doesn’t need to be a hassle. Let Movehub take control of your move to Australia and get up to 6 quotes from trusted international shipping companies. All you have to do is simply fill in this short form with a few details about you and your move. To find out how much it costs to ship your belongings to Australia, check out our guide to container shipping costs. Which is the cheapest city to live in Australia? Despite a recent boom in property prices, Hobart still remains the cheapest city to live in Australia. Houses in the Tasmanian capital are roughly 25% cheaper than the national average – at about $444,500 AUD ($315,000 USD) – making it much more affordable than cities like Sydney or Melbourne. If the island life isn’t for you, then Adelaide and Perth are among the cheapest cities to live in mainland Australia. Which is the most expensive city to live in Australia? It will probably come as no surprise that Sydney is the most expensive Australian city to live in. A one bedroom apartment will set you back around $500 AUD ($350 USD) a week, while you’ll need to have around $880,000 AUD ($620,000 USD) in the bank to buy a house. Which city in Australia has the best weather? If you’re looking to top up your tan, then Perth is the place for you. Located on Australia’s west coast, the city receives on average 8.8 hours of sunshine per day – or 3,200 hours of sunshine per year – making it the sunniest city Down Under. Summer in Perth is generally warm and dry while its winters are very mild, with the temperature rarely falling below 50°F. Bonza! Where is the best place to find work in Australia? 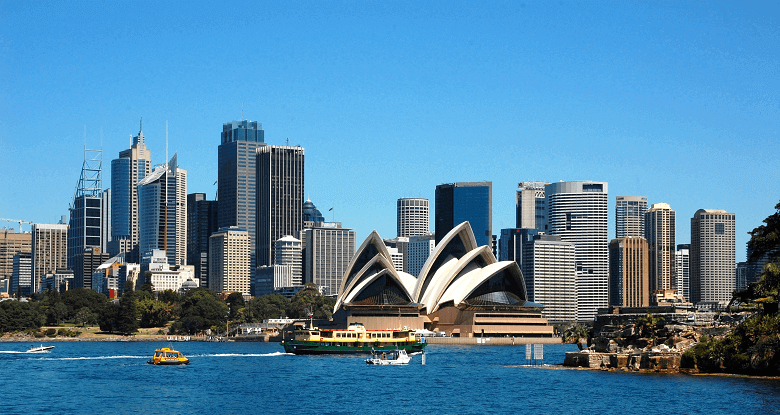 Accounting for almost half of Australia’s economic growth, Sydney offers the best job prospects for expats moving to Aus. With an unemployment rate well below the national average at around 3.8%, Sydney has a booming economy in industries such as financial and professional services, construction and manufacturing. 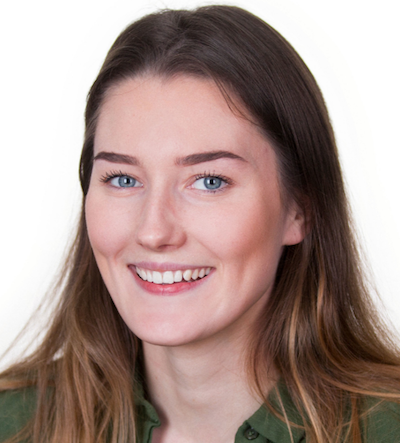 Born and raised in Cambridgeshire, Fran loves Bee Movie, memes and orangutans. She hates snakes. Her travels include the US, Australia and Cyprus where she almost died in a thunderstorm on top of a mountain.